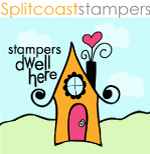 BeautyScraps: UnBoxing & Alternative Card Idea #1: May 2017 Paper Pumpkin Kit Sprinkled With Love by Stampin' Up! UnBoxing & Alternative Card Idea #1: May 2017 Paper Pumpkin Kit Sprinkled With Love by Stampin' Up! May 2017 Paper Pumpkin Kit! I didn't see any sneak peeks or spoilers and I was so excited to rip open that box to see the fun projects this month! This month's kit is called Sprinkled With Love and it is Donut themed!!! So cute! I love the projects this month! Paper Pumpkin always outdoes itself! The projects are super cute as designed, but you guys know I always love to mix it up & come up with alternative project ideas for my Paper Pumpkin kits! I cut up the round cards & the envelope bags in the kit to create this card. In the video below I show you how to create this card step by step. Make sure you subscribe to my YouTube channel so you don't miss any of the other fun alternative card ideas I'm going to share! 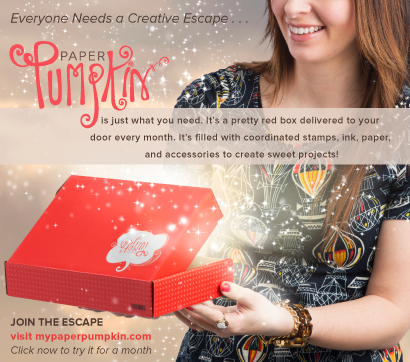 There is an awesome promotion going on right now for first time Paper Pumpkin Subscribers! Click Here to sign up and enter the Promo Code: STARTHERE and you will save 25% off of your first 3 months! The normal monthly subscription price is $19.95 including shipping so this deal is a real steal! Use Host Code: FT9KMA6G when you shop my online store in May 2017 for a Free Gift!